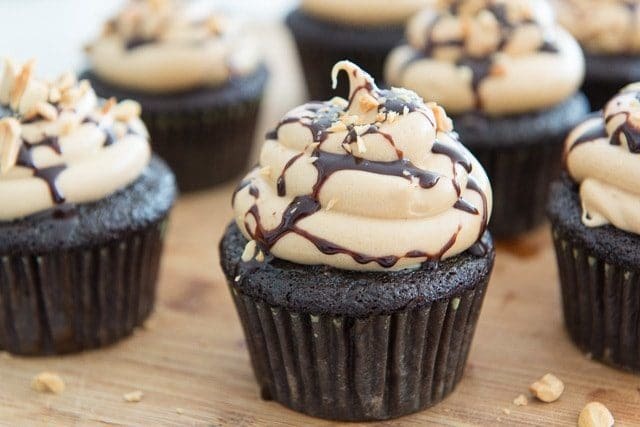 These Chocolate Peanut Butter Cupcakes are my go-to cupcake recipe. They’re rich, dark, and incredibly moist. 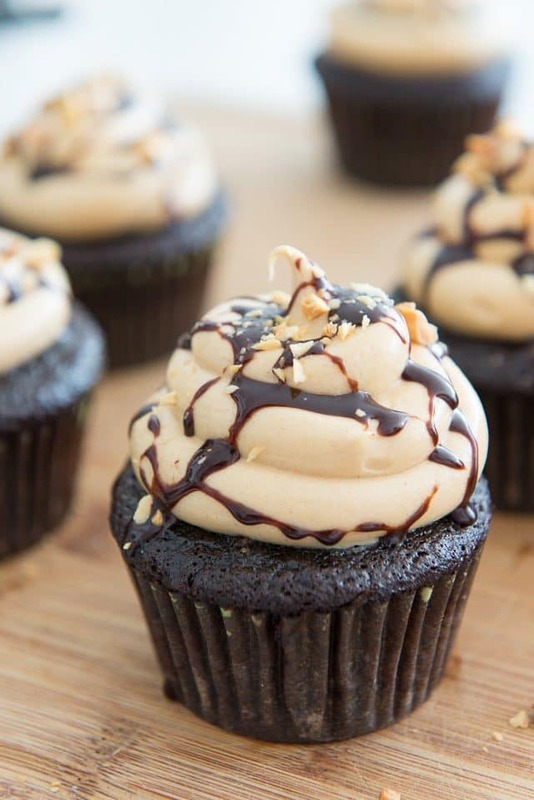 The Peanut Butter Buttercream on top is the perfect pairing for the dark chocolate flavor. 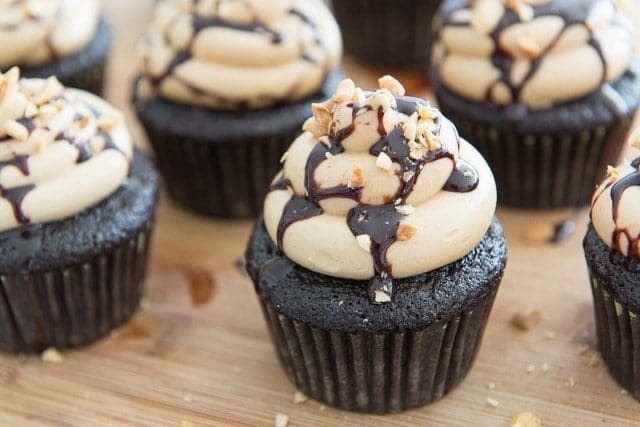 Even though I’m not solely a baker, I would totally go to that Cupcake Wars show with these Chocolate Peanut Butter Cupcakes. 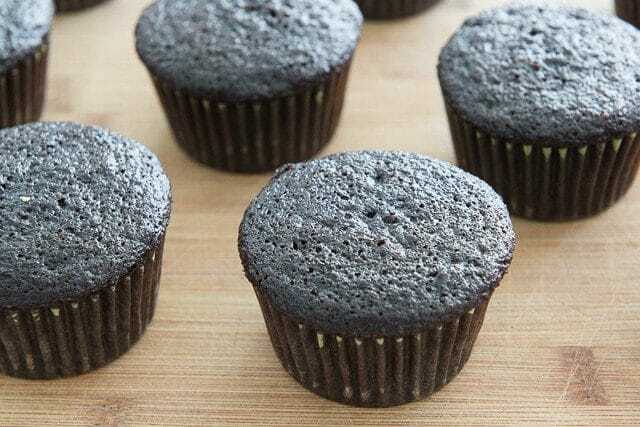 They’ve become my go-to when I need cupcakes for something, whether it’s for a party, to give to a neighbor, or to satisfy a chocolate cupcake craving. What I love about this recipe is it’s easy to make, and you can use all-purpose flour instead of cake flour. I don’t usually have cake flour on hand, so it’s nice when you can use AP flour and still get an incredibly soft and moist texture. 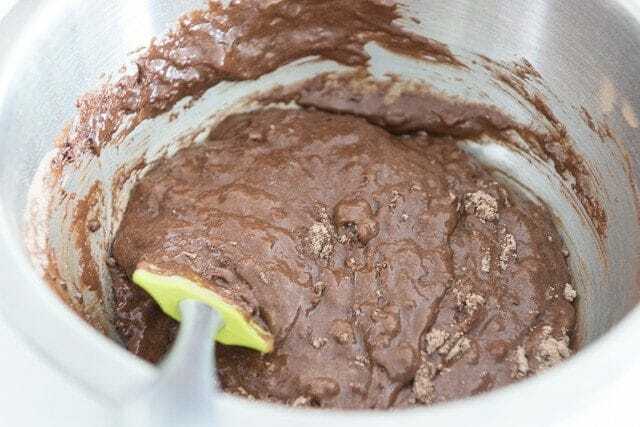 In fact, the Chocolate Cupcake batter doesn’t have anything out of the ordinary in it, and the peanut butter buttercream only calls for 4 ingredients that you whip together in a bowl. The reason I mention that is because usually I’m somewhat of a buttercream snob and prefer to make it without confectioner’s sugar so I can avoid the subtle grittiness that comes with it. 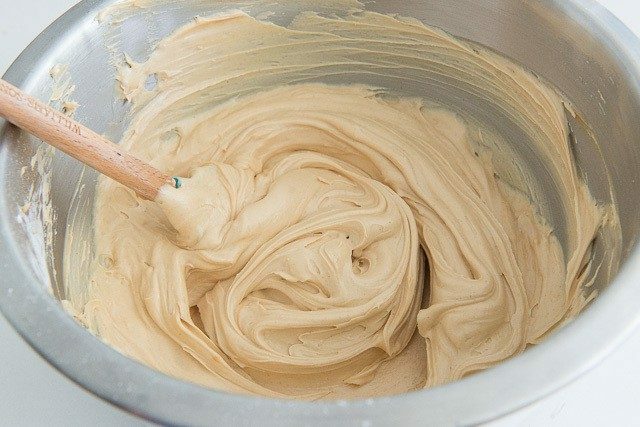 But because the peanut butter is such a big component of the buttercream, it’s much less noticeable, and the buttercream is plenty luscious, light, and smooth. 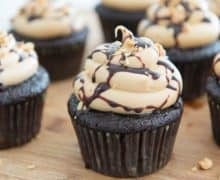 Or to say it another way: When you put the peanut butter buttercream in a piping bag, you’ll find yourself piping little tastes onto your finger, and think momentarily about piping some into your mouth (real talk, here). Let me show you how to make them! They will be so dark and chocolatey! Pipe the buttercream onto the cooled cupcakes. Then, I like to drizzle a little bit of chocolate syrup or chocolate ganache on top and add chopped peanuts for garnish, but it’s totally optional. 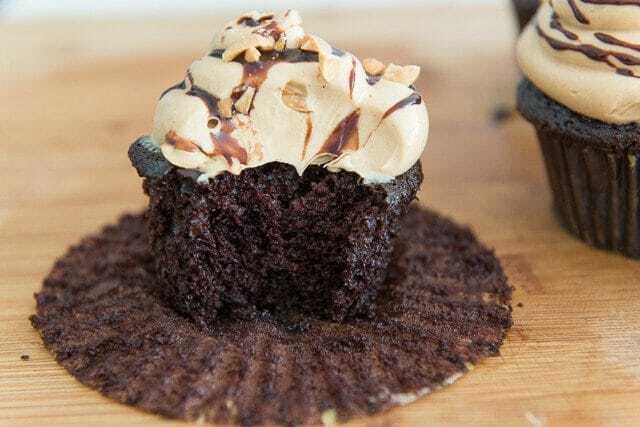 These Chocolate Peanut Butter Cupcakes are my go-to cupcake recipe! They’re rich, dark, and insanely moist. 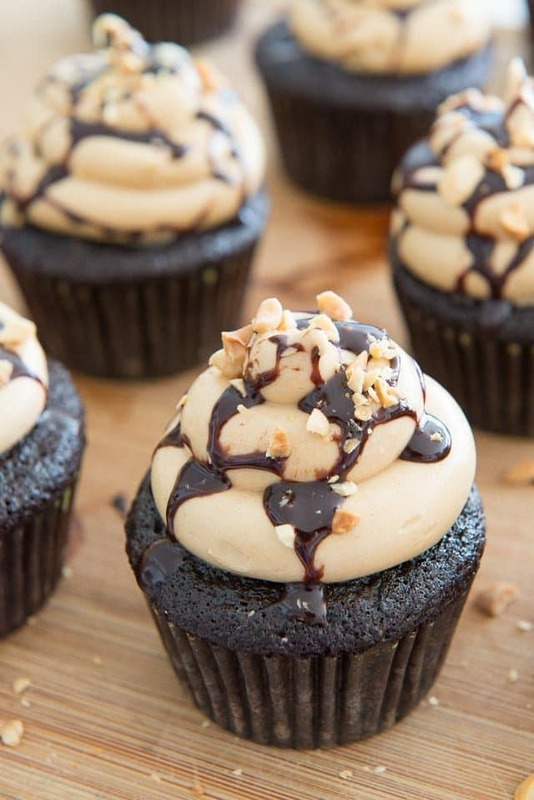 The Peanut Butter Buttercream on top is the perfect pairing, and only has 4 ingredients. 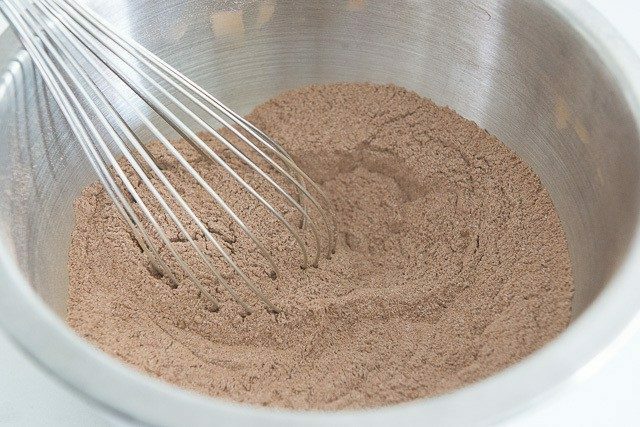 Whisk to combine the flour, cocoa powder, sugar, baking soda, baking powder, and salt. Set aside. 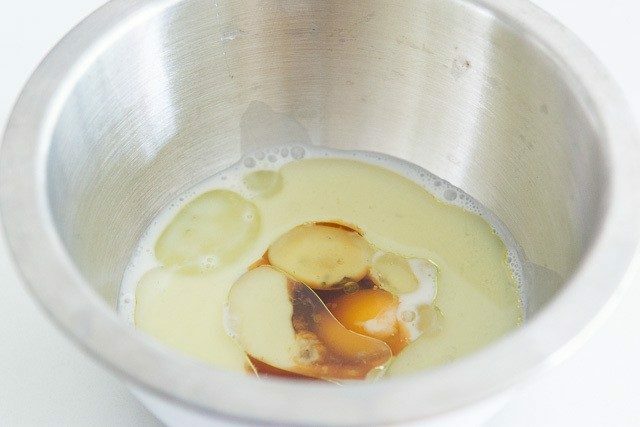 In another bowl, whisk to combine the buttermilk, grapeseed oil, egg, and vanilla. 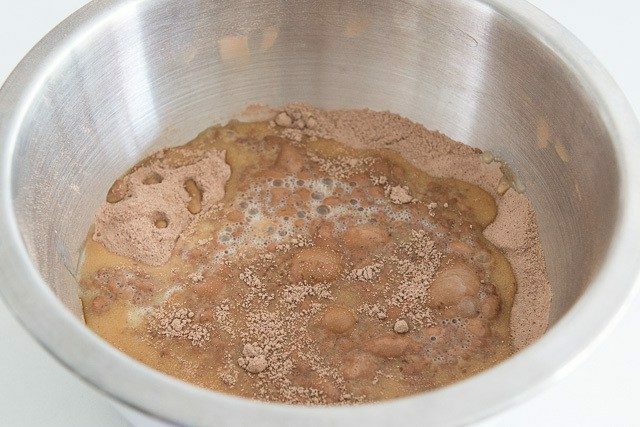 Slowly pour the wet ingredients into the dry while stirring, and before the flour has disappeared into the batter, stir in the coffee. It will make the batter quite thin. 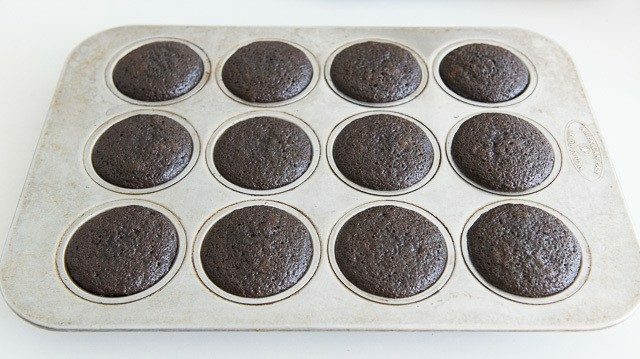 Evenly divide the batter into the 12 muffin cups, but make sure they are no more than 3/4 full. 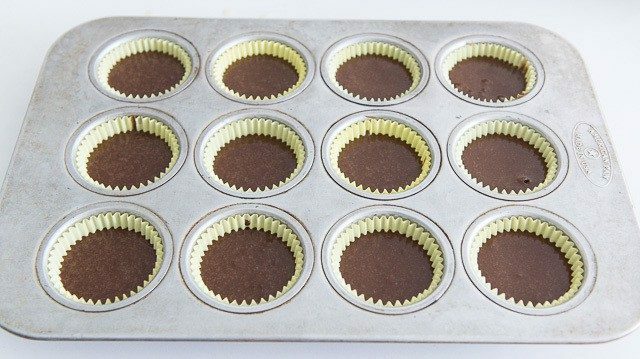 Bake for 22 minutes, until a toothpick inserted into the center of a cupcake comes out clean. Let the cupcakes cool on a wire rack completely. 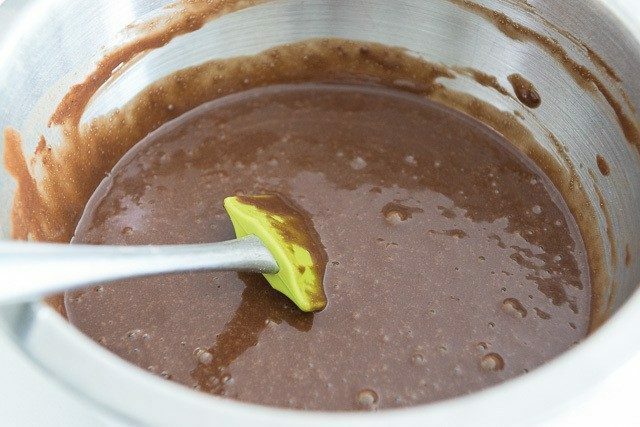 To make the buttercream, beat all buttercream ingredients in a bowl until smooth and blended, about 3 minutes on high speed. Pipe on the buttercream as desired. Optional: drizzle with chocolate syrup, and sprinkle on some chopped peanuts. Enjoy! *I’ve successfully substituted 1/2 cup milk or almond milk mixed with 1 teaspoon white vinegar. I made it for my kids, so I used just half a cup of sugar and used sugar cane instead. It turned out great!!!! Very soft and sponge cupcakes! And no coffee of course. Wonderful! Vegetable oil works just fine. Enjoy! Do you need grape seed oil? Hi Jody, any neutral oil will work, even a light olive oil. Enjoy!